There is nothing better than a warm cup of hot cocoa on a winter day – especially around the holidays! 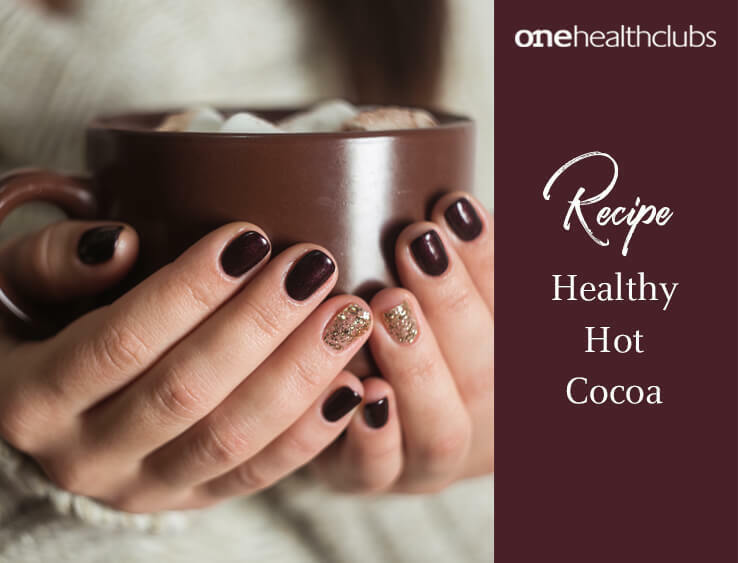 While this beverage can be enjoyed while skating or skiing outside, on long wintery walks or just sitting by the fire, it can pack a serious calorie and sugar punch. Too much sugar consumption ultimately means too much energy for your body to handle. The excess, unused energy will be stored as fat for ‘later’. According to the American Heart Association the maximum amount of added sugar that men should consume is around 37.5 grams (9 teaspoons) and women 25g (6 teaspoons) PER DAY. Choosing to get a hot chocolate while you are out once in a while is fine as a treat. Making it a regular occasion will send your sugar intake through the roof! You can replace the extract with vanilla or almond if you do not like peppermint! Looking for more healthy advice or direction? Click here for a free 15-minute nutrition consultation with one of our Nutritionists.